The Justice Minister responds to an earlier Sunday Independent statement regarding a frontpage story about correspondence between himself and the Taoiseach and says the paper needs to apologise. JUSTICE MINISTER ALAN Shatter has said that the Sunday Independent needs to issue an “apology and correction without delay” for a story published on the front of the paper today. In his second statement of the day about the matter Shatter has strongly criticised the paper in response to a statement that the publication had issued earlier this evening in which it said it stands over its story. The paper, edited by Anne Harris, had earlier rejected “the content and tone” of an earlier statement issued today by Shatter, in response to a report the ‘Sindo’ published regarding correspondence between himself and Taoiseach Enda Kenny. The article – headlined, ‘Kenny asks Shatter to meddle in family case’ – discussed correspondence between Kenny and Shatter earlier this year, when Kenny’s office sent a letter concerning a legal case before the courts regarding one of the Taoiseach’s constituents. It reports that Shatter ultimately responded by telling the Taoiseach it would be “inappropriate” and “entirely improper” for a member of the government to intervene in such a court case. The Minister responded to the article this afternoon, saying that it was a “gross misrepresentation of the correspondence that took place” and said that Kenny had never asked him “to meddle” or “intervene” in the case as alleged by the paper. Today’s Sunday Independent ran the article as its front page lead story. In response the paper said it stood over its story and claimed that Shatter had incorrectly said in his statement that the matter related to ‘Land Registry records’. Now the Minister claims that it is possible the paper was “furnished with an uncorrected draft response which mistakenly contained a reference to ‘Court Registry Records’” when it submitted a Freedom of Information request. I note that the Sunday Independent statement of this evening does not reassert that false claim and I deem this to be significant. It does, however, allege that the Taoiseach “made representations” to me in this matter. This is also inaccurate. As stated on his behalf on Friday last in respect of correspondence received by him, his office forwards queries in such correspondence for the attention of the Department responsible. As detailed in my statement earlier today, in this instance he merely requested that I “examine the points raised” in a constituents letter and furnish him with advice thereon. In the interests of accuracy and fairness the Sunday Independent should issue an apology and correction without delay. Finally, in their statement this evening, the Sunday Independent queries whether the substantive response furnished by me to the Taoiseach makes reference to “Court Registry Records” or “Land Registry Records”. I have already addressed this in my earlier statement but, in the interests of transparency, I am publishing with this statement the actual letter sent by me to the Taoiseach on 7th June last. Any reference in it which could identify the constituent concerned has been redacted. It is possible that in response to its FOI request the Sunday Independent was furnished with an uncorrected draft response which mistakenly contained a reference to “Court Registry Records”. If this occurred, neither it nor any other part of the correspondence provided any basis of any nature whatsoever for the false statement that the Taoiseach requested that I “meddle” and “intervene” in a court case related to the marriage breakdown of one of his constituents. In an earlier statement issued by Harris, she rejected the Minister’s first statement and emphasised that “both the Taoiseach and the Minister were offered a full opportunity to comment last Friday”. Harris said that only the Taoiseach responded and that the newspaper carried his response in full. We stand by our story that the Taoiseach made representations on behalf of a constituent, regarding ‘an issue on Family Law’ and seeking details of ”…the present position in this case”. We are concerned that the Minister’s statement contains information that does not seem to be correct. The Minister refers to his correspondence with the Taoiseach as having stated: “it would be entirely improper for a member of Government to intervene in any way with Land Registry records”. In fact, the correspondence released to the Sunday Independent refers to the fact that it would be entirely improper for a member of Government to intervene in any way with “Court (our emphasis) Registry” records. The Sunday Independent relied on copies of correspondence in relation to this matter between the Taoiseach and the Minister for Justice released by the Dept of Justice under the Freedom of Information Act. 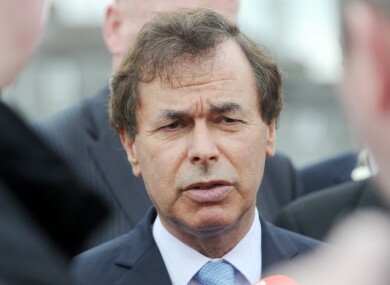 Email “Second Shatter statement rejects 'inaccurate' Sunday Independent story”. Feedback on “Second Shatter statement rejects 'inaccurate' Sunday Independent story”.